Having a support on the team is absolutely essential when creating a balanced team in Heroes of the Storm. But there will be games where having a traditional healing support can actually hurt your chances at winning. Maybe matchmaking decided to put together multiple supports or warriors, or maybe another player decided to only play Uther in ranked that day. In either case, your team is going to need more damage in order to win. 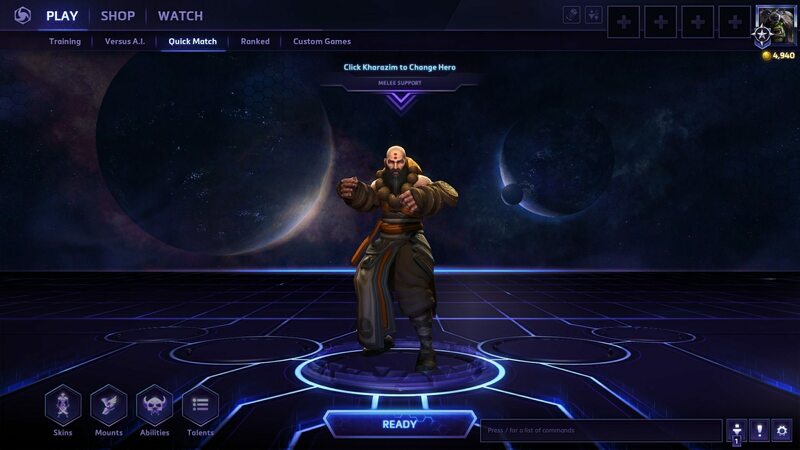 Luckily, there are a few supports in Heroes of the Storm that can be built for damage. They still offer support a team needs, but pack a punch. In this guide, I will explain how to turn Khazarim, Tyrande, and Rehgar from supports into deadly, fearmongering hybrid assassins. Even without much experience, it is easy to see why Khazarim makes such an excellent hybrid support. He is incredibly mobile because of his low-cooldown jump, which makes it easy to chase down fleeing opponents or escape risky situations. Also, many of Khazarim’s abilities scale off of damage traits. Khazarim’s alternate heroic ability, Seven-Sided Strike (R), makes him surprisingly durable as well. However, you need the correct traits for this build to work. Below is my recommended build, which amplifies Khazarim’s spammable Radiant Dash (Q), and other mobility traits. Level 1- Iron First: A simple trait that gives Khazarim burst damage from auto attacks. Level 4- Overtake: Using Deadly Reach (E) can be frustrating to use since you can’t move and attack. Most of the time you will get a few hits in then the enemy will simply walk away. Overtake helps overcome this by giving a 30% boost to movement speed while your E is active. Level 7- Way of the Hundred Fist: Here is where you get a significant damage spike. This trait adds massive burst damage to your Q, which is needed to finish opponents off. Level 10- Seven-Sided Strike: An easy choice to make for damage-oriented builds. Your R deals percentage health damage making Khazarim a threat to Warriors or bulky Supports. Moreover, Khazarim becomes invulnerable for almost two seconds and becomes much harder to kill. Use your R at the start of team fights, but after your first round of skills. Take advantage of your invulnerability while waiting for your cooldowns to refresh. Level 13- Fists of Fury: No traits stand out at this level, so I take Fists of Fury to get the most of Deadly Reach. Level 16- Blinding Speed: Combined with Way of the Hundred Fist, you will be able to use Q every couple seconds and repeatedly burst down squishy enemies. Level 20- Epiphany: Think of this trait as reload during a team fight. The extra mana and Q charges will keep you moving throughout the fight. At first glance, Reghar’s skill seem underwhelming, but when upgraded with the right traits, Reghar becomes one of the scariest supports in Heroes of the Storm. Lighting Shied (W) lets you trade effectively in lane and offers additional buffs as the game progresses. Plus, Ghost Wolf (D) is a powerful passive that deals bonus damage, while gaining all the benefits of an instant mount. Reghar’s heroic, Blood Lust, is also one of the strongest steroids in the game because it affects any ally nearby. The burst from all these skills combined is sure to catch your opponents off guard. Reghar is still a support, but instead of using heals he adds damage to himself and his team. This hybrid build focuses on Lighting Shield to deal massive area-of-effect damage, and enraging allies with Bloodlust. Level 1- Lighting Bond: Best used when laning with another hero. The damage from two shields can be overwhelming in early skirmishes, and will either kill or force your opponents out of lane. Level 4- Stormcaller: It is easy to run out mana when spamming shields so this trait helps by cutting down mana costs. The extended shield duration is another bonus. Level 7- Blood and Thunder: All of the traits at this level are lack luster for hybrid Reghar, but Blood and Thunder makes the most sense. Lower cooldowns means even more shield spam. Make use of the passive by constantly switching to Ghost Wolf form whenever it is available. Level 10- Bloodlust: Who needs heals when you can give your entire team 40% attack speed, 30% movement speed, and life steal off basic attacks. Bloodlust is best used at the start of team fights so your team benefits for the entire duration. Also, try to communicate with your team and make sure that everyone is in range. Other good uses of your R is when pushing an enemy base or chasing down enemies. Level 13- Earth Shield: With this trait, your shield can be used offensively and defensively. Remember, the shield scales off health too so try casting on Warriors before they initiate. Level 16- Rising Storm: Even more damage to Lighting Shield. Level 20- Gladiator’s War Shout: Makes Reghar’s R even scarier by adding in life steal. 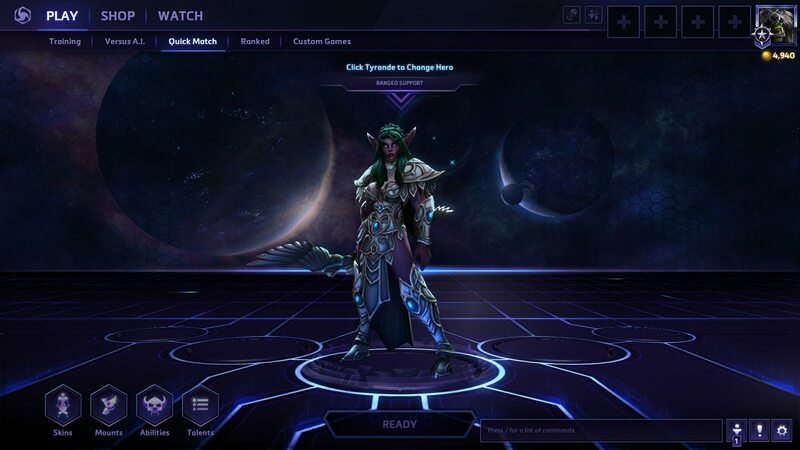 Out of all the supports mentioned thus far, Tyrande is the most obvious choice for a hybrid support build. She has a reliable stun, a damage amplifier, and several traits that give bonus damage to her auto attacks. It is easy to focus down an enemy hero with Lunar Flare (E) and Hunter’s Mark (D). Even Warriors will melt with well-timed focus fire. 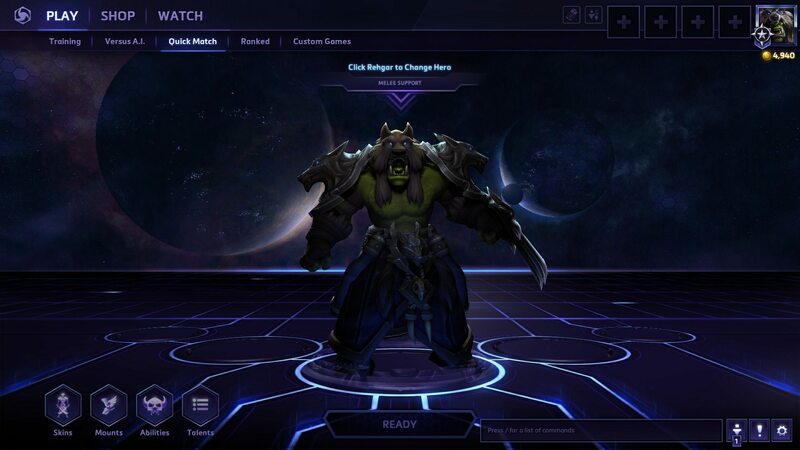 But like most ranged heroes, Tyrande is squishy and needs to be in good positioning to survive. Hyrbid Tryande acts more like a combo mage. The traits recommended below amplify her burst. Level 1- Ranger’s Mark: Tryande’s passive is powerful throughout the game and lowering the cooldown will make sure it is available more often. Level 4- Searing Arrows: An interesting active that uses mana for each auto attack. I prefer this trait over Focused Attack because it deals more burst, especially after a hitting Lunar Flare. Level 7- Lunar Blaze: While this trait doesn’t increase Tyrnade’s damage, it does provide well-needed range on her E. The increased range lets you stun targets before you reach auto-attack range, giving time to prepare a devastating combo. Level 10- Shadowstalk/Starfall: Both heroics are useful in hybrid builds. Get Shadowstalk if your team likes to engage with a heavy frontline. Starfall is best used in teams that need to kite in team fights since it creates a large zoning area. Level 13- Huntress’ Fury: Another trait that buffs Tyrande’s passive. Level 16- Shooting Star: A great trait that makes your combo even more deadly. 50% increased damage is a huge power spike, and the mana refund helps offset Searing Arrow’s cost. Level 20- Celestial Wrath/Nexus Fury: Go Celestial Wrath if you took Starfall at level 10. Making your R global with increased damage is too good to pass up. Alternatively, choose Nexus Fury is you went the Shadowstalk route. The extra movement speed from Hunter’s Swiftness just doesn’t cut it as level 20. Take more range and attack speed instead. While the heroes mentioned above all perform well as hybrid assassins, make sure to think things through before picking this route. Going damage is usually more entertaining; however, it may not be the best for your team. Take heals when it is necessary. But if your team already has a dedicated support, then by all means stack up that damage and start crushing skulls. Thanks for reading, and feel free to comment or let me know your own hybrid builds.